We’ll help to make your home safe, comfortable and easy to manage - whether you’re at home or away from home, our systems help make life that little bit easier. Replace ugly, complicated thermostats with invisible temperature sensors and elegant touchpanels - we’ll help you to improve the aesthetic of your home whilst also making your heating and cooling systems simple to use. Our systems are also energy efficient, making sure that heating and cooling systems work together and don’t fight against each other. 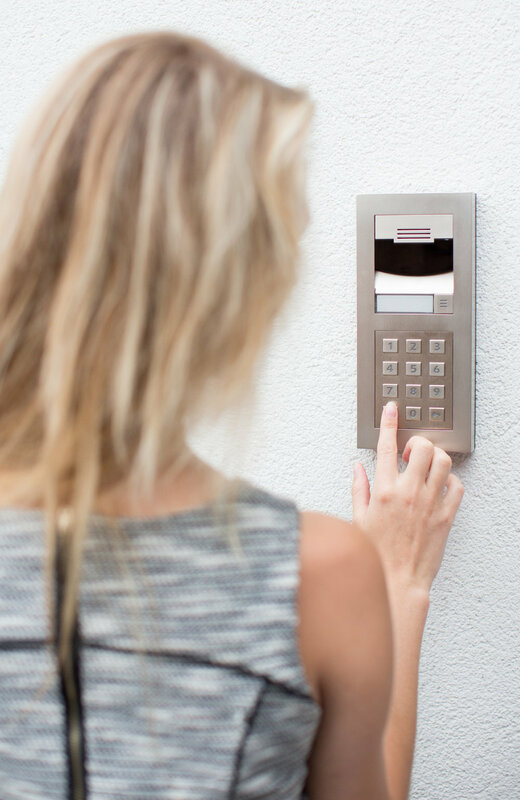 Control4 ‘Intercom Anywhere’ lets you see who’s at the gate or front door, speak to them and choose to let them in - all from one simple user interface. What’s more, this simple convenience is available on your smartphone anywhere that you have 4G connectivity, so you’ll never miss a delivery again! Keep an eye on home when you’re away from home. Our High Definition network connected CCTV systems give crystal clear images on touch panels, TVs and mobile devices. And should you need it - everything’s backed up on a secure network recorder.